You are here: Home / Stakeholders / Are You A Workplace Bully? 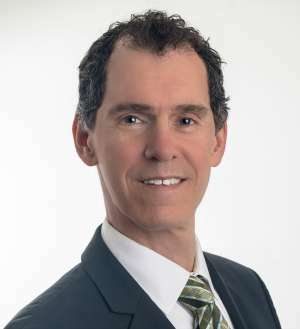 This is a guest article from Paul Pelletier, PMP and author of Workplace Bullying – It’s Just Bad for Business. Project managers establish and foster workplace behaviour expectations through their own leadership values and actions. Simply put – I believe that we learn from the examples set by those above. That leads to two clear choices: do you commit to a positive, respectful model for workplace culture or a disrespectful, bullying model? This fundamental decision impacts your organisation and also reflects back onto you as the leader. However, there is more and more evidence that project managers who bully pose a serious threat to their organisations, their employees and even their own job security. Do You Choose a “Bullying” Leadership Style? Project managers who choose a bullying leadership style get results predominantly through dominance, fear and negative reinforcement. Employees have no choice but to do as their leader says. One can see the merit of this command and control leadership style on the battlefield. However, it doesn’t belong in the workplace. The bullying model creates a workplace culture where employees feel vulnerable, anxious and uncertain. All too commonly, PMPs that choose this model embrace disrespectful behaviour. They motivate by threat, humiliation and by exerting power over others. The results can be diabolical for the organisation, the employees and for the project manager. Research shows that PMPs and other project managers set the tone and behavioural expectations for their organisations – their leadership style, expectations and workplace respect tolerance levels ripple throughout the business. When project managers tolerate disrespect or behave that way themselves, those underneath them will adopt the same approach. The workplace culture will resonate disrespect, creating a Darwinian workplace – if survival of the fittest is what the project manager desires, then that is likely what will eventually happen. I know that in our hyper-competitive world there are intense and ever-present demands for results. But many organisations become so focused on short-term results that they ignore how they are achieved or the long-term impacts of the means used to get those results. A decision to lead using bullying and instilling fear may bring short-term results or appear to drive performance. This perception may, in turn, lead some project leaders to believe this is an effective motivational approach for delivering results. However, the real question is whether it’s delivering for employees. I don’t believe employees that feel anxiety, fear and disrespect produce well. You don’t have to look far to find examples that support my perspective. Do you really understand the risks of leading with bullying tactics? Do you really understand the risks of leading with bullying tactics? Whether project managers are bullies themselves or promote organisational influencers that are, the risks are high. These risks could result in self-destructive, unanticipated consequences – ruining their career, reputation, and taking their beloved businesses down with them. I believe that it’s possible (and in the best long-term organisational interest) to have both workplace respect and healthy competition. Staff don’t need to be abused to perform to their fullest. The defendant, Don Blankenship, had for decades been one of West Virginia’s most influential and powerful figures. The CEO of Massey Energy, the largest coal producer in Appalachia, he employed 5,800 people and operated more than 40 mines. Mr. Blankenship lost his job and reputation – the profit-producing bully will be also be spending time in prison. Massey Energy, and its owner, Alpha Natural Resources, are both under bankruptcy protection. Having lost all their investment, I wonder what the shareholders of Alpha Natural Resources think of Massey’s leader now? Was Blankenship’s decision to rule Massey as a tyrant and workplace terrorist worth it? Bullying has terrible health impacts on employees including suicide and post-traumatic stress disorder. This example highlights the risk that PMPs take by leading with bullying and ignoring their legal and social responsibilities – results are important but if they come at a cost of an unethical, disrespectful workplace culture, you may lose your job and image. Even worse, you could face prosecution. But of utmost importance, people could lose their lives. Bullying has terrible health impacts on employees – including suicide and post-traumatic stress disorder. Few leaders and PMPs are impervious to their executive boards, public pressure and shareholders opinions. Ask Sepp Blatter, formerly of FIFA, or Martin Winterkorn, formerly of Volkswagen, if they regret decisions made to shortcut ethics and accountability. Were the short-term results worth it? What kind of legacy does Mr. Blankenship leave behind? I believe that project managers determine their destiny when they choose their leadership values and style. The choice is quite simple – do results/profits alone drive the workplace culture or does workplace culture drive results/profits? There are incredibly successful leaders that vehemently oppose the leadership style demonstrated by Mr. Bezos of Amazon, Blatter, and Blankenship including Sam Walton, Warren Buffet, Bill Gates and hopefully you have some examples local to you as well. 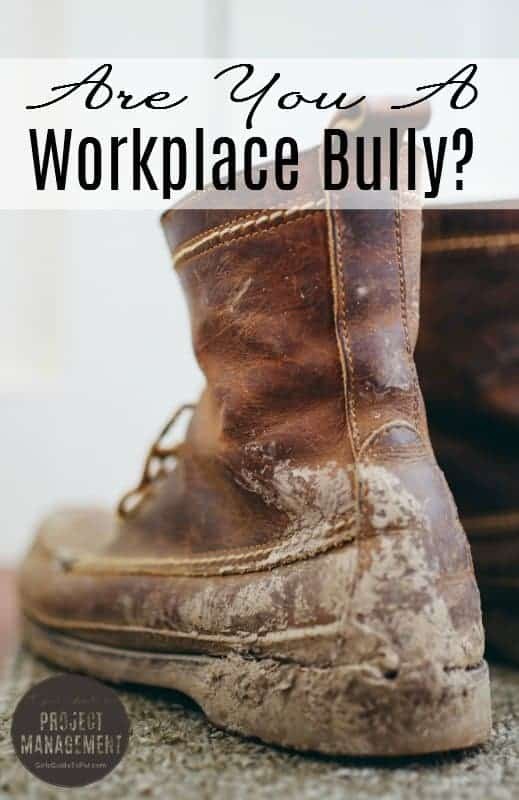 Through increased awareness and focusing on the financial and societal costs associated with a bullying workplace culture, I hope that, despite constant pressure to perform, project managers will forbid bullying as a results-driver. PMPs and project managers at all levels need to show courage and walk the talk of servant leadership. In the meantime, the stories of leaders that select bullying continue to educate us about the consequences. To choose or not to choose to bully – that is the project manager’s question. What will you choose? Here are some suggested books from Paul if you want to explore the topic of workplace bullying further. [amazon text=Surviving Bullies, Queen Bees and Psychopaths&asin=0615642411], Patricia G. Barnes. [amazon text=Bullying and Emotional Abuse in the Workplace: International Perspectives in Research and Practice&asin=B000OT84S2], Ståle Einarsen (ed.). [amazon text=The Servant as Leader&asin=B00M0NTRA4], Robert Greenleaf. [amazon text=The Leadership Challenge&asin=0470651725], James Kouzes and Barry Posner. I like that you point out that one of the signs of bullying within leadership is that they get results from dominance, fear and negative reinforcement. I can see why noticing this would be important so that you can make your HR managers aware of it. I’m not sure if I have personally experienced this before. I’ll have to think about my current job and watch for any signs of this. Having been a victim of workplace bullying I am happy to see that this is coming out of the closet for discussion! Hey this was an insightful post and truth be told I thought I had project management all figured out but your post was a nice change. The way you have dichotomized the whole process is a good way to understand the whole process. I am an user of this tool called Zapty and thus started reading their blog and thus got to know about this blog. No way! Workplace bullies are toxic to projects. “You catch more bees with honey,” is a saying I like to manage by.